Infiniti sold 16,700 vehicles globally last month, an increase of more than 1,700 vehicles or 12 per cent versus April 2014. This marks the best April in Infiniti's history. President Roland Krueger. "We continue to implement our growth strategy on our way to establish Infiniti as one of the key global premium brands in the automotive industry. 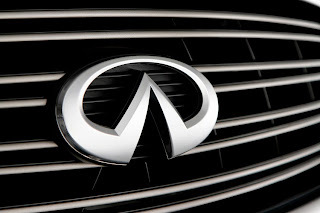 I would like to thank our customers around the world who made Infiniti their trusted purchase." Again, all four of Infiniti's global sales regions contributed to the growth. In the Americas, Infiniti's biggest sales region, the company recorded more than 11,000 sold vehicles in April, 8 per cent up from a year ago. In China, where Infiniti had a strong showing at the Shanghai Auto Show in April, more than 3,750 vehicles were sold in that month. The increase of 41 per cent or 1,100 vehicles over April 2014 marks the best month in history for Infiniti in China. In the EMEA region (Europe, Middle East and Africa), Infiniti sold more than 1,450 vehicles in April driven by strong results in Western Europe, Middle East and South Africa - all of them up versus last year's April. Lastly, Asia and Oceania also achieved a best April ever. Infiniti sold approximately 400 vehicles in the region, continuing the growth with a 19 per cent increase from 2014. In addition to these regional results, markets such as Canada, Mexico, Latin America, South Africa, Australia all had their best April in history.